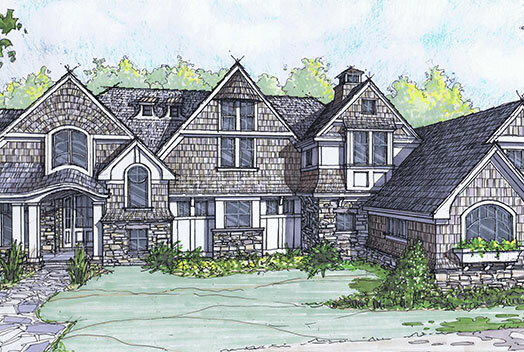 Prime Building Advantage will be directing sales and marketing at one-of-a-kind, 54-acre premier destination for luxury living, The Highland Retreat in Glenelg, Maryland. This exclusive community offers a once-in-a-lifetime custom home experience. The property, is divided into six, scenic lots that range in size from 3 – 38 acres. Homeowners can build bespoke estate homes behind a gated enclave and enjoy a woodland retreat complete with miles of walking trails throughout the acres of forest conservation areas and access to the private Cattail Creek Country Club. A unique selling feature is total customization. Purchasers can buy a premier home site and hire their dream design/build team. Another custom option is to work with Prime Building Advantage and their custom estate home building partner at Highland Retreat, A. Perry Homes. A. Perry Homes, is an award-winning design and build firm with offices in Washington, DC, Chicago, and Miami. They understand The Highland Retreat vision and have extensive experience in this type of custom community development. They are committed to keeping the desired continuity and exclusivity while offering the epitome of custom design and service. Premium home sites start in the upper $600’s and lot/home packages are priced from $3.6 million. The custom homes will range in size from 10,000 – 35,000 square feet. Glenelg, Maryland is a small community unspoiled by city sprawl yet convenient to both Washington, DC and Baltimore and regional airports as well as shopping, dining, and schools. “We are thrilled to be working with Prime Building Advantage on the sales and marketing of The Highland Retreat,” says Sandra Grier, Developer of The Highland Retreat. “Our plans for this magnificent six-home community also require the highest level of customer care in real estate and custom home building knowledge. Prime Building Advantage has deep roots in the luxury residential real estate market and has deep roots in the Washington DC and Baltimore markets. We are confident that the final homes will surpass everyone’s expectation and that Prime Building Advantage will be a key part of that success. See more of The Highland Retreat online: thehighlandretreat.com.